Resident consolidati del DC10 ,Antonio sapeva di loro e delle loro produzioni e li ha prelevati dalla loro città natale a Salerno e li ha portati a Ibiza quando tutto ha preso il via . Vivere, lavorare, produrre e suonare insieme in coppia ha scaturito un raro e istintivorapporto di 20 anni di collaborazione. Veri appassionati, vantano una notevole conoscenza musicale, tra stili e generi che ha permesso di definire il proprio stile. Nei loro djsets , come dicono loro, non importa se un disco è nuovo o vecchio, di moda o no, la musica è musica e la migliore viene sempre fuori. 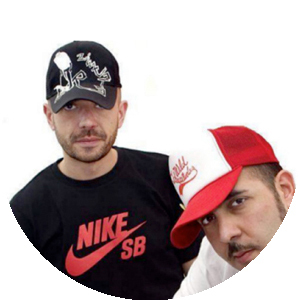 Le loro produzioni sono apparse su etichette come con Freak’n’Chic, Tenax e Motif Blau per citarne alcune, oltre ad essere preso per le compilation della MOON HARBOUR e le Serie TimeWarp mixate da LOCO DICE e Marco Carola. 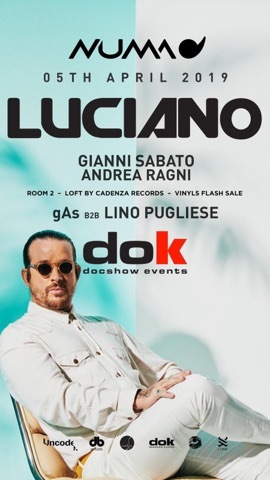 Residing primarily at DC10, the pair have been residents for Circo Loco since the party first began, Antonio knew of them and their productions back in his home town Salerno in Italy and brought them to Ibiza when it all kicked off. “the people, music and vibe at DC10 is like no place on earth. Living, working, producing and playing together the pair have a rare and instinctive relationship formed over 20 years of partnership. True aficionados, the boys, between them, boast a remarkable knowledge and back catalogue of music, across styles and genres, defining their solid, smooth and thoroughly dependable sound. A System of Survival set, like the boys themselves, doesn’t care if a record is new or old, in fashion or not, music is music and the best will always out. System’s own productions have found homes with Freak’n’Chic, Tenax and Blau Motif to name a few, as well as being picked up for compilations such as Moon Harbour’s Circo Loco Anniversary CD or both LocoDice and Marco Carola’s “TimeWarp Series.